One of the biggest challenges organizational communication instructors face is that most students have minimal or no corporate experience. As such, showing students how to apply the theoretical content of organizational communication, or how to employ the skills discussed in organizational communication, is quite difficult because they do not immediately see the utility. 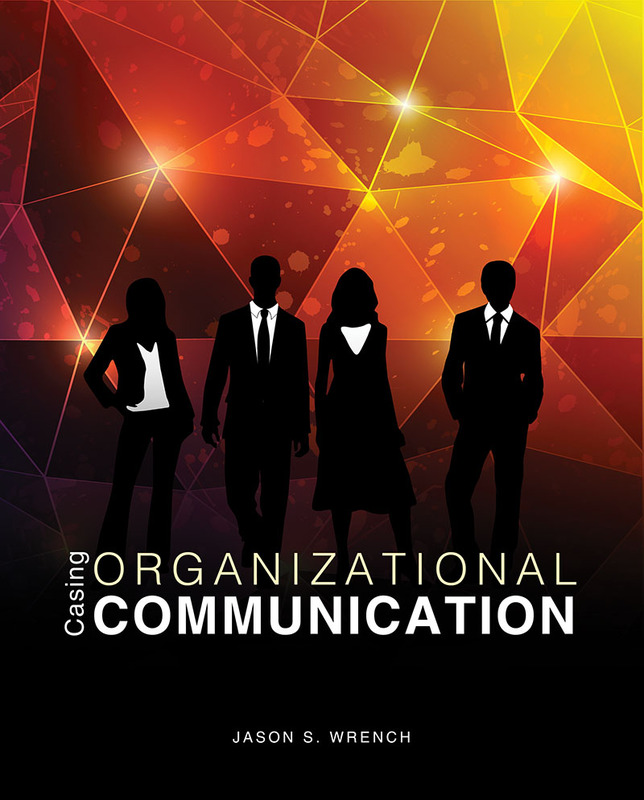 Casing Organizational Communication offers practical examples of a wide range of different topics. Represents the culmination of a century of understanding about how students learn and apply business related concepts, skills, and theory. Contains decision-based cases, or cases that require the reader to come to some kind of decision. The reader is 1) introduced to the main character; 2) introduced to others involved in the case; 3) presented with the main communication problem; and 4) prompted to come up with the decision the main character should make. Guides the reader through the decision-making process. Jason S. Wrench (Ed.D., West Virginia University) is an associate professor and chair of the Communication Department at the State University of New York at New Paltz. Dr. Wrench has published numerous books on a variety of communication topics: Intercultural Communication: Power in Context, Communication, Affect, and Learning in the Classroom (2000, Tapestry Press), Principles of Public Speaking (2003, The College Network), Human Communication in Everyday Life: Explanations and Applications (2008, Allyn & Bacon), Quantitative Research Methods for Communication: A Hands-On Approach (2008 & 2013, Oxford University Press), The Directory of Communication Related Mental Measures (Summer 2010, National Communication Association), Stand Up, Speak Out: The Practice and Ethics of Public Speaking (2011, Flat World Knowledge), Communication Apprehension, Avoidance, and Effectiveness (2013, Allyn & Bacon), Training and Development: The Intersection of Communication and Talent Development in the Modern Workplace (2014, Kendall Hunt), and Organizational Communication: Theory, Research, and Practice (2015, Flat World Knowledge). Dr. Wrench has also edited a number of books: Casing Organizational Communication (2011, Kendall Hunt), Workplace Communication for the 21st Century: Tools and Strategies that Impact the Bottom Line: Vol. 1. Internal Workplace Communication, Vol. 2. External Workplace Communication (2013, both with Praeger), and Casing Public Relations (2014, Kendall Hunt). Dr. Wrench was the editor of the Ohio Communication Journal from 2005 to 2007, served as an associate editor for Communication Research Reports from 2007 to 2010, and has been on the editorial board of numerous academic journals. Furthermore, Dr. Wrench has published over 30 research articles that have appeared in various journals: Communication Quarterly, Communication Research Reports, Education, Human Communication, Journal of Homosexuality, Journal of Intercultural Communication, Southern Communication Journal, The Source: A Journal of Education, and The NACADA Journal (National Academic Advising Association).